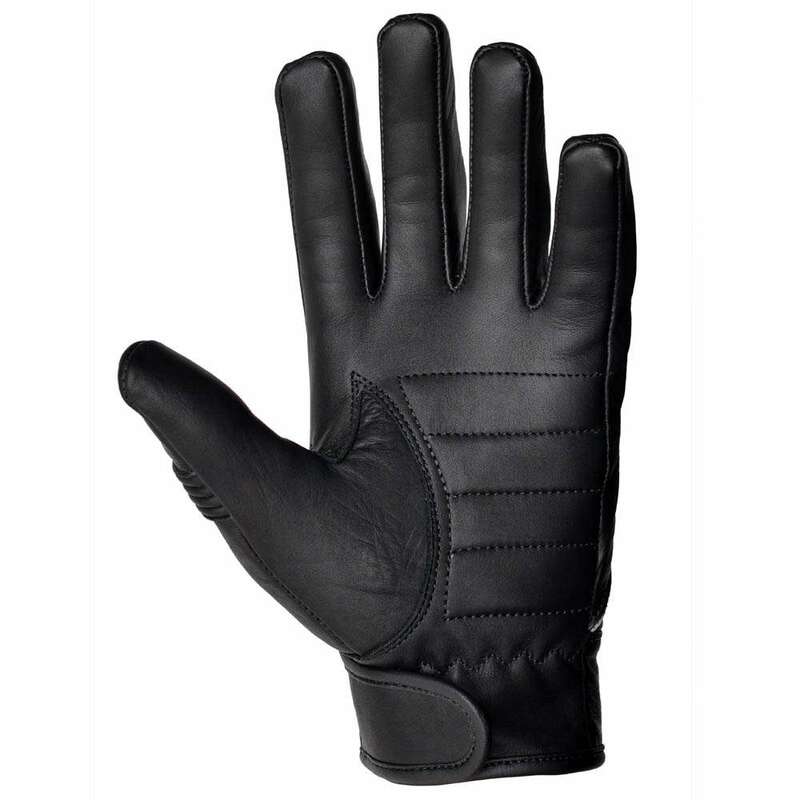 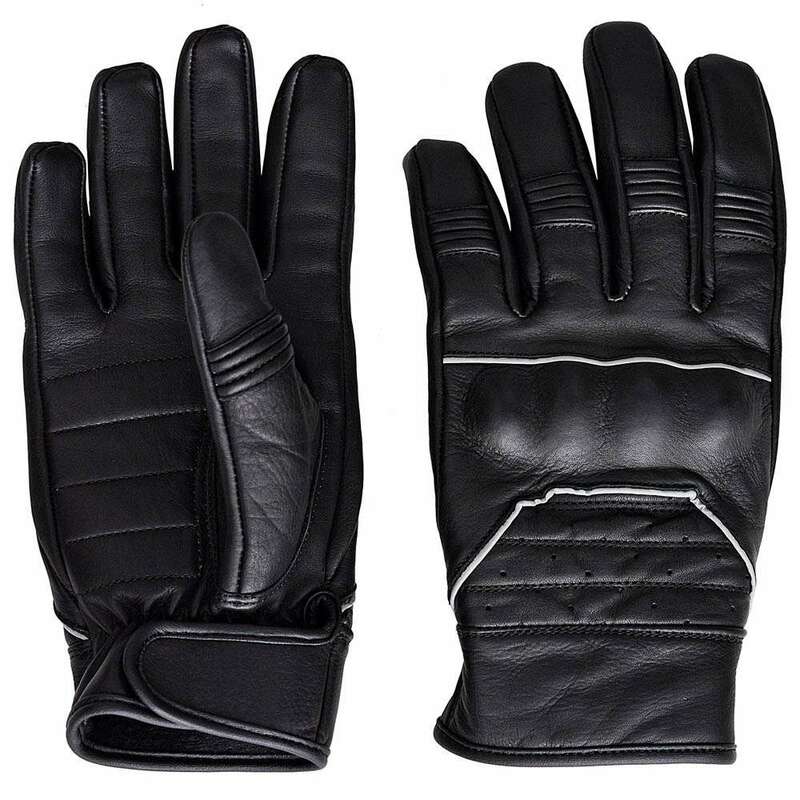 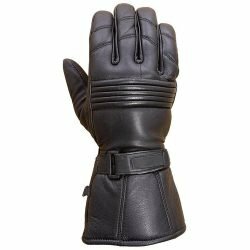 This is a pair of full grain cowhide leather riding gloves. 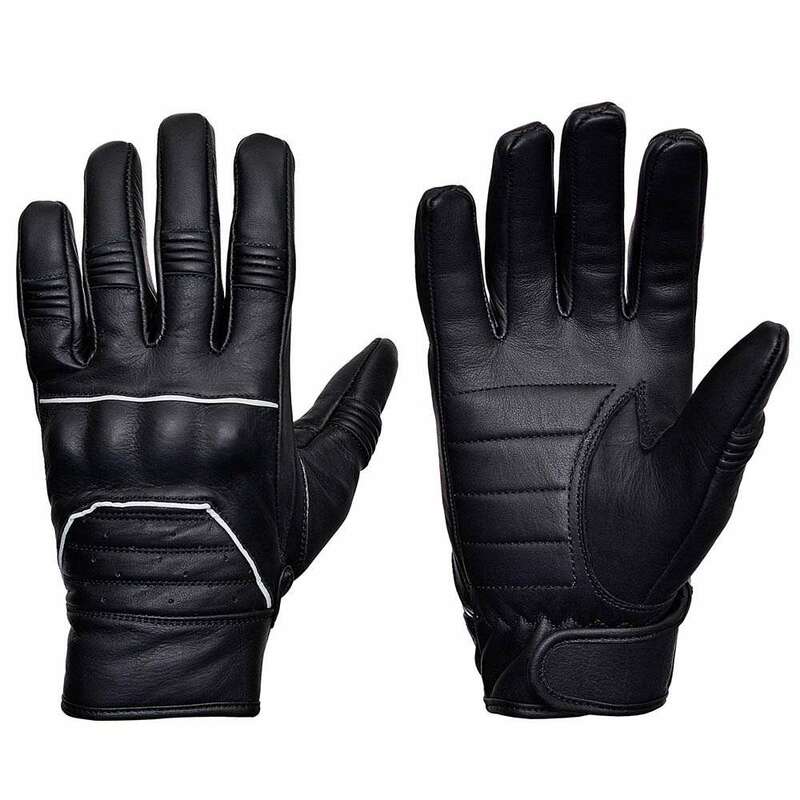 Short cuff, light weight yet tough gloves with ample reflective piping for night time visibility. 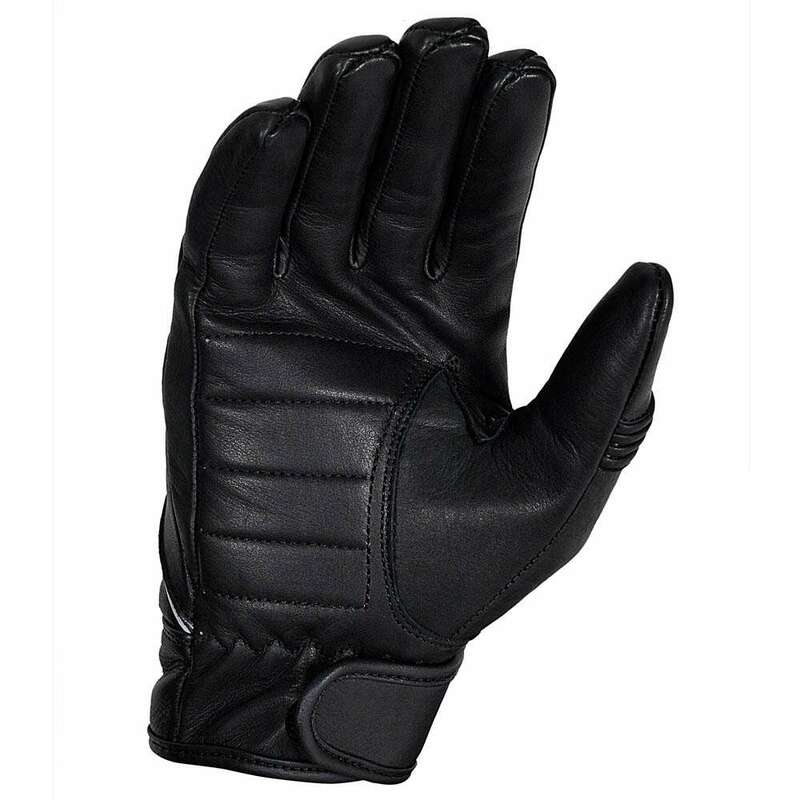 Hard plastic knuckle for added protection and peace of mind. 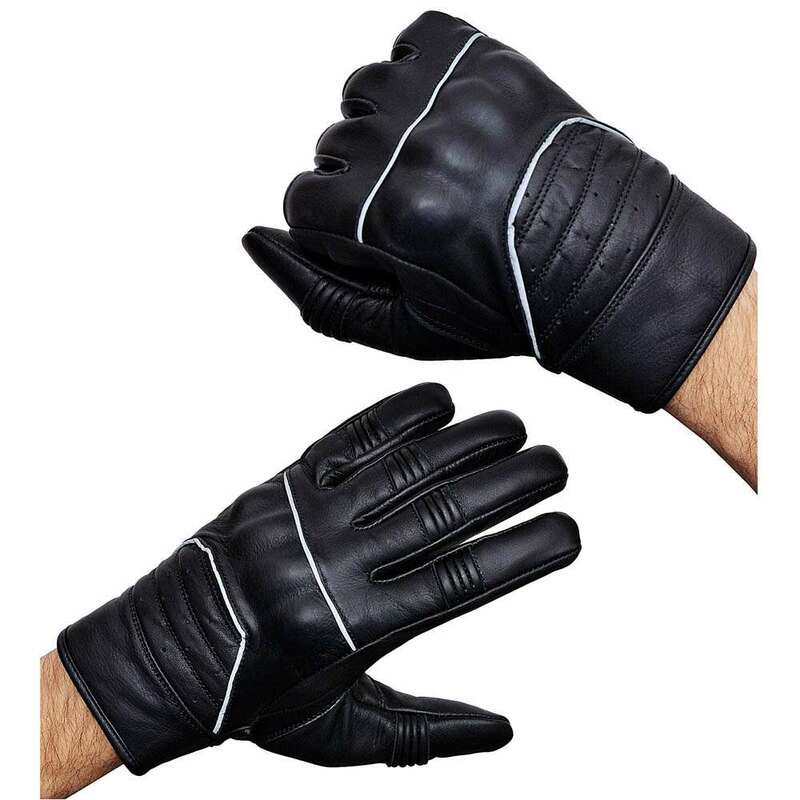 This is a pair of full grain cowhide leather riding gloves. 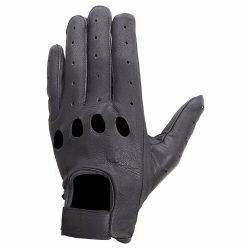 Embedded hard plastic knuckle provides much needed protection in case of a fall. 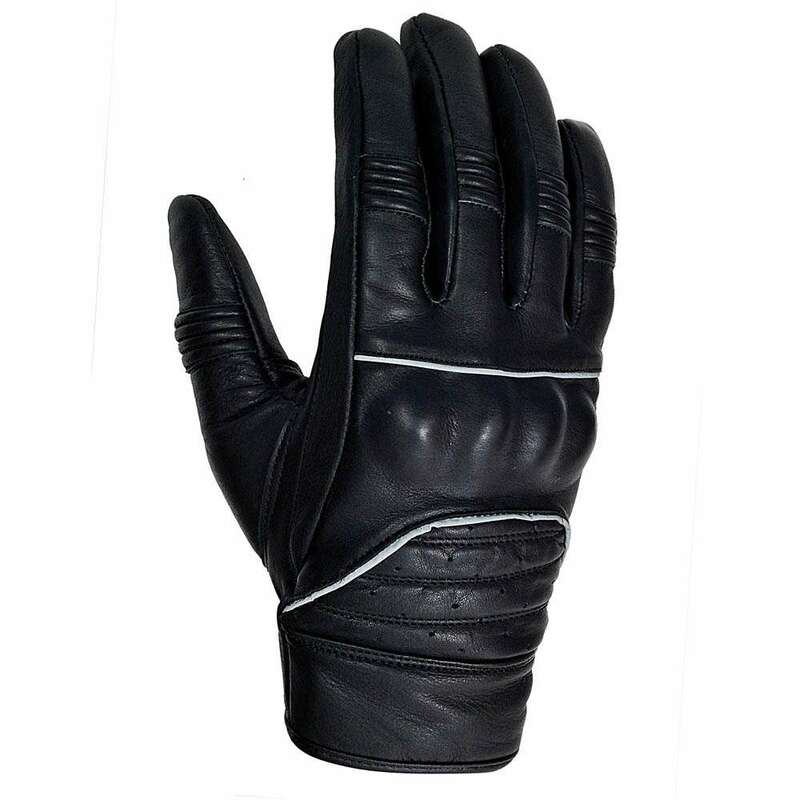 The palm is padded and double stitching around thumb and wrist will provide extra protection again scuff and tears.